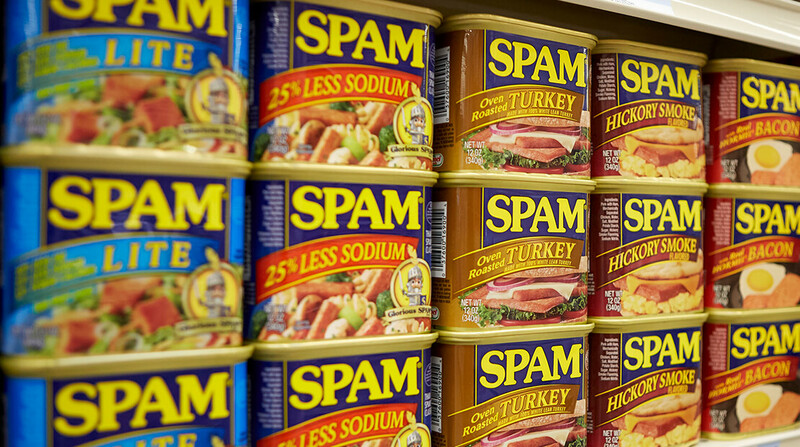 SPAM – the old-fashioned American luncheon meat – is a Hong Kong culinary staple. While sighting slices of the ultra-processed meat product may drum updated memories of lacklustre childhood lunches in Australia, the canned ham covered in gelatine is actually a popular food staple in the modern metropolis of Hong Kong. “It’s a quick food but in Hong Kong, it’s so very popular,” a spokesperson from the Cordis hotel, who’s well versed on all matters of locally available food from fine dining culture to street fare, tells SBS. This dish is also commonly featured on breakfast menus at cha chaan tengs – affordable tea restaurants – throughout Hong Kong. The no-frills ham is the centrepiece in egg and ham sandwiches, sold at takeaway or fast food outlets throughout Hong Kong. And then there’s the hearty, comfort dish – ramen noodle soup with scrambled eggs, fried Spam and Asian greens – that can be eaten at breakfast or lunch. I sampled this particular meal titled ‘top lunch meat slippery egg noodles’ at the cha chaan teng chain, Tai Hing situated in Mong Kok in the Yau Tsim Mong District of Hong Kong. The Spam-y dish is an affordable restaurant top-seller, costing $48 HKD (around $8.50 AUD). About three minutes after the dish was ordered, the soup appeared piping hot on my table. The scrambled egg melted into the soup base as two crispy thick slices of Spam soaked up a homemade broth, topped with sesame oil. The combination of the ingredients produced a cheap and quick flavour-punch my hunger and the need for a slightly greasy, salty kick.